World Rugby have finally made changes to their end of year award panels after fierce criticism that the old system excluded sufficient experts on the women's game. Last year's judging panel included seven men and one women - without even a pretence at gender balance. Finally today, World Rugby has made welcome additional changes. There are specialist panel members assigned to each award category and for the first time there will be separate panels to determine the World Rugby Men’s and Women’s 15s Player of the Year. The new Women’s 15s Player of the Year panel features three Rugby World Cup winners in Danielle Waterman, Robinson and Will Greenwood, World Rugby Hall of Fame inductee Liza Burgess, Ireland duo Lynne Cantwell and Coghlan, former France captain Gaëlle Mignot, former USA Sevens captain Jillion Potter, journalist Stephen Jones, who has been to every Women's World Cup, and former New Zealand Sevens captain Karl Tenana. 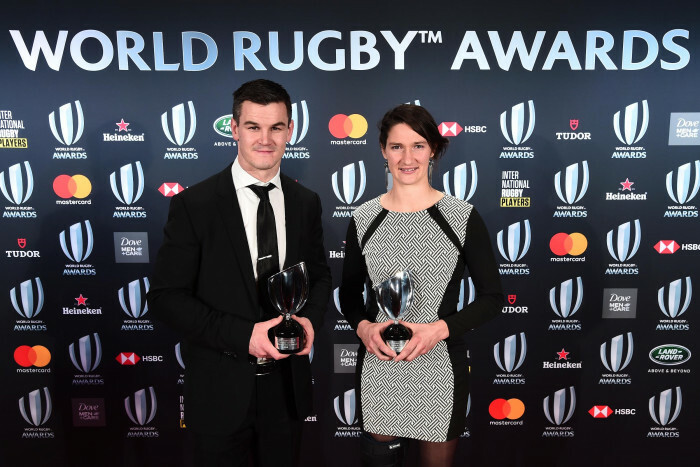 The World Rugby Men’s and Women’s Sevens Player of the Year awards have previously been voted for by team managers, commentators, match officials and players but a dedicated panel of former sevens stars has been introduced for 2019. The panel features Kenya’s Humphrey Kayange, former Canada captain Jen Kish, Tiana Penitani, Tenana, Waterman and two-time Rugby World Cup Sevens winner Marika Vunibaka of Fiji.